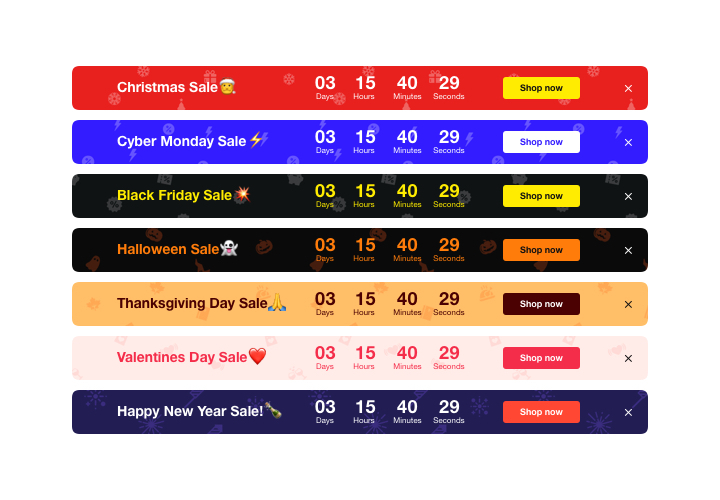 Show sales-rising counts for your website with Elfsight Countdown widget. 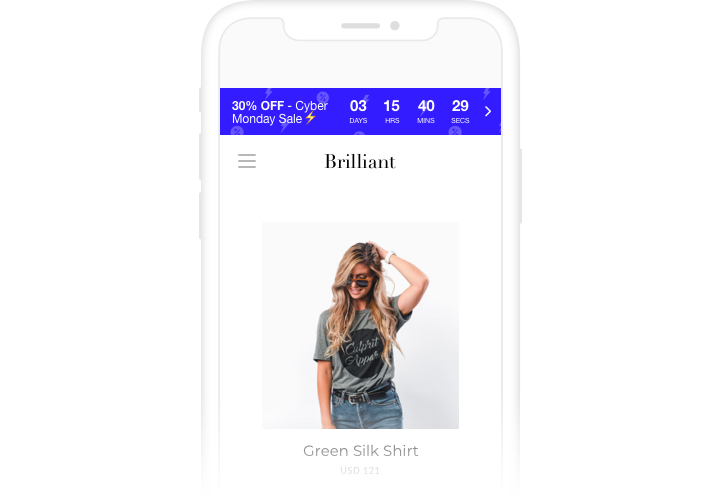 Heat up the atmosphere and evoke a feeling of scarcity of your goods, showing how quickly they get purchased right before the clients’ eyes. Set urgency in buying them with time counting down to the end of the special offer period. Announce your future occasions or holidays and keep your audience looking forward to them showing a countdown timer. 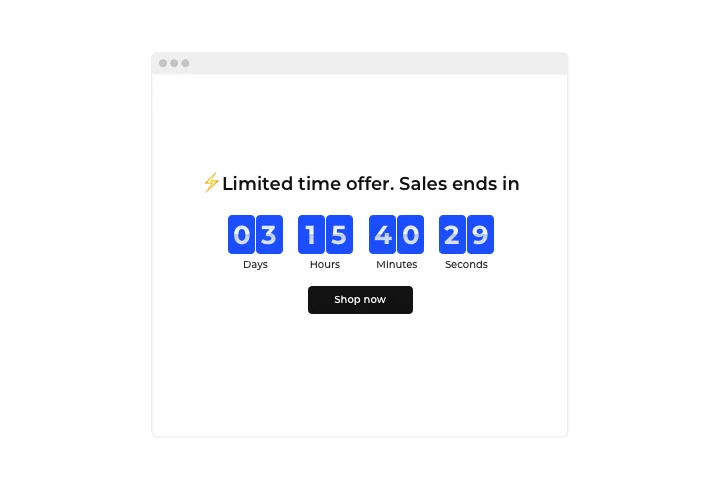 Raise your website sales using urgency-driving timers and counts. 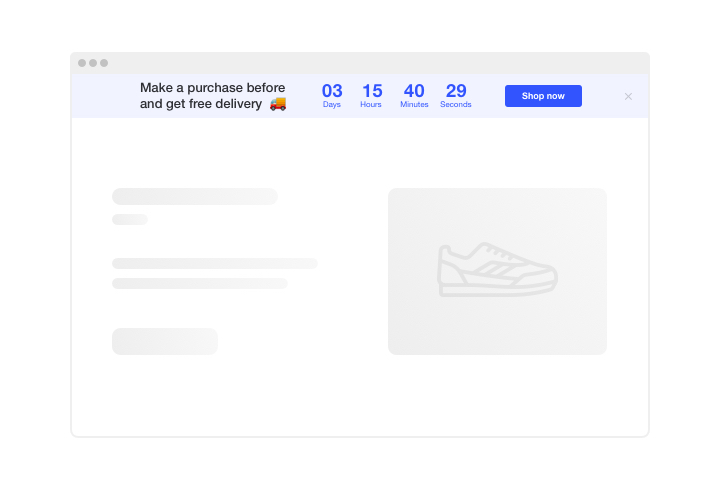 Stimulate shoppers to purchase by building a feeling of urgency. Make your clientele feel the fear of missing your low prices time and sale, while time is counting down to the end of it. It will make users purchase quicker and grow sales on your website. 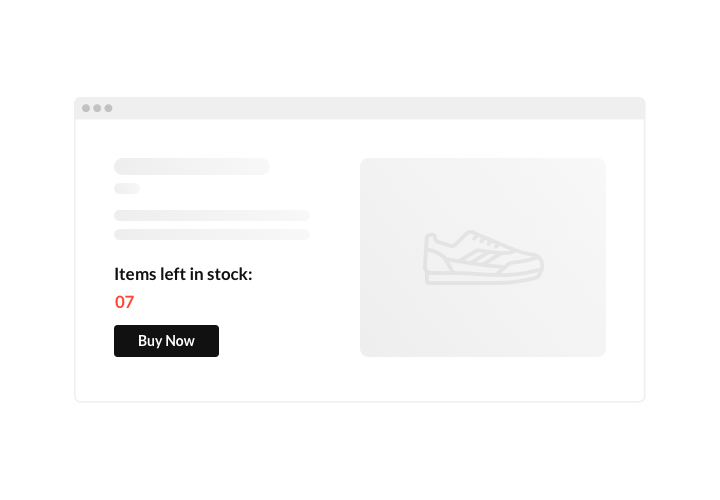 Demonstrate the stock dropping in order to raise items’ perceived value. Set a feeling of competition for your goods by demonstrating how the amount of sales is growing and the stock is decreasing. Product’s perceived value will rise and clients will want to have it too. 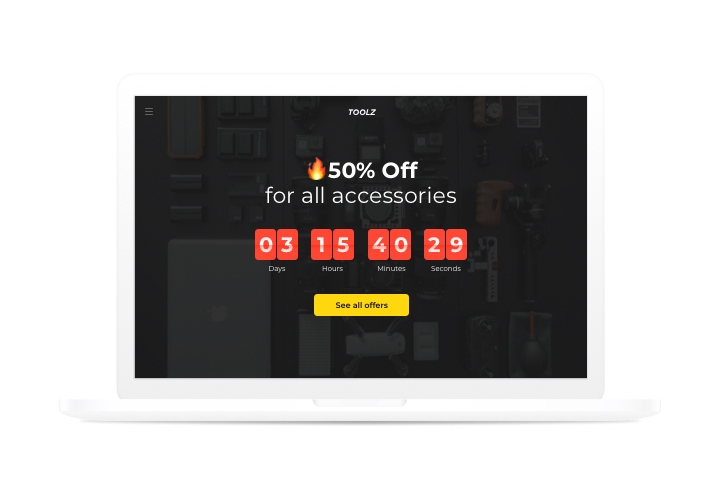 Entice more attention to sales with the help of an eye-catching holiday-style timer bar. Create a bright theme sale bar for festivals and special occasions. It will reflect the holiday atmosphere and advance your special offers to help you sell more during high season. To carry out the embedding, you you will not need to have competence in programming or a lot of time. Only several easy stages and 1 minute of time. Using our free editor, create a plugin with preferable look and options. After you have generated the widget, receive a unique code for Countdown plugin from the popup notification on Elfsight Apps. Integrate the plugin in a selected place of the website and publish the results. Visit your site, to see how your plugin works. Having questions with displaying the plugin or customizing it? Contact Elfsight support for hwlp with any issue. Try individual Elementor Countdown Timer in only 1 min!